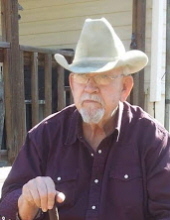 Mr. Larry Herwick, 72, of Maxie, passed away March 23rd, 2019 at his residence. He was preceded in death by his daughter, Lori Ann Herwick and his parents, Wayne Watt Herwick and Cora Mae Gray Herwick. He was Deputy Program/Operations Manager for Mason Technologies and Mississippi Army Ammo Plant at Stennis. He is survived by his wife, Sherry Herwick; son, Chris Herwick (Billie Jo) of Moyock, NC; grandsons, Joshua Herwick, Jacob Herwick and Jonah Herwick; one sister, Mary Elizabeth Rogers of Covington, LA; numerous nieces and nephews and a host of friends. Services will be held at 12 p.m. Tuesday, March 26th, 2019 at Moore Funeral Service in Wiggins, MS. Visitation will be from 10 a.m. until service time at Moore Funeral Service. Interment will be in Maxie Cemetery. Moore Funeral Service in Wiggins, MS is handling these arrangements. To send flowers or a remembrance gift to the family of Larry Wayne Herwick, please visit our Tribute Store. "Email Address" would like to share the life celebration of Larry Wayne Herwick. Click on the "link" to go to share a favorite memory or leave a condolence message for the family.